Associate of Science vs. Associate of Arts Degree: What is the Difference? FNUAcademic ResourcesAssociate of Science vs. Associate of Arts Degree: What is the Difference? 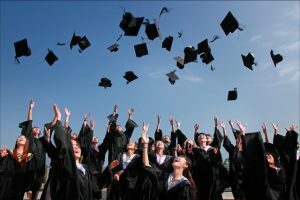 Choosing a college program and deciding what to study can be somewhat intimidating for some students, particularly for those who approach life in terms of making commitments. Declaring a major used to be a traditional aspect of college life, but socio-economic conditions and the competitive job market often leave students hoping for more flexibility. Choosing to enroll in an associate degree program is an excellent way to test out a career, enter a program that will give you the credentials you need to start working at a higher salary and paving the way for a full bachelor’s degree. With this in mind, you probably still want to know the difference between an Associate in Arts versus an Associate in Science degree? Which one should you get? As its name suggests, the Associate of Science (A.S.) degree will gear you towards math and science-related careers while the Associate of Arts (A.A.) degree pretty much encompasses all other fields. A.A. programs offer rather flexible degrees; while they can involve some level of science and math studies, they will not be as focused as A.S. degrees in many cases. In essence, A.A. degrees are of a more general nature and can help students further their education or enter various occupational fields. A.S. degrees are more narrowly focused and may require students to take on additional courses when they wish to expand their studies. Let’s say two Florida National University (FNU) students move out of state and want to take advantage of a Business Administration scholarship program; a student who obtained an A.A. in this field may not have to deal with prerequisites while the one who chose the A.S. track may have no choice but to take extra courses. Is an Associate of Arts or Associate of Science More Appropriate For Me? Are you good at science and math? If you are not, is this something you’ve always really wanted to learn and you think you’d enjoy in college? Are you seriously considering furthering your studies in a scientific or technology industry? Source: Table of the number of associates degrees conferred by post-secondary institutions in selected fields of study: from 2000-2016. The chart shows the number of associate degrees that students earned from the year 2000 to 2016. In general, the numbers increase as the population grows and as more people realize the value of associate degrees. Liberal arts degrees are the majority of the degrees awarded, followed by health-related degrees. Occupations in the healthcare industry currently take up most of the 20 top paying jobs in the United States, according to the Bureau of Labor Statistics. As the American population grows older, advances in the health sciences field increase prospective demand for healthcare workers. The chart shows that many students received associate degrees in health professions, but from 2010 until 2016 that number declined. If you are passionate about biology and health sciences, you will likely find employment opportunities in the future. Information technology is also booming, and it is projected to continue growing; for this reason, IT professionals occupied some of the few non-healthcare occupations in the top 20 highest-paying jobs list compiled by the BLS. If you are into gadgets and follow technology news updates with interest, an IT career could be what you need to forge your career. For more information about tech careers at FNU, contact one of our admission counselors today. You can look into FNU’s A.S. degree in Computer Information Technology, Web Development, or Networking System Administration. FNU also offers A.S. programs that combine technology and healthcare: Radiologic Technology and Diagnostic Medical Sonographer Technology. In the healthcare field, FNU offers traditional A.S. programs in Nursing, Physical Therapy, and Dental Laboratory Technology as well as more innovative programs. See a list of all FNU’s A.A. and A.S. programs at the bottom. In 2019, the American Council on Education published a research study that underscored the importance of associate degrees as a means to improve socioeconomic status. Even with historically low unemployment rates, American workers with associate degrees are more likely to get jobs than their counterparts who only graduated from high school or obtained certificates. A dental practice, for example, will take a closer look at an applicant with an Associate of Science in Dental Hygiene degree compared to another applicant with a Dental Assistant certificate. As for the frustrating issue of the gender wage gap in the American workplace, researchers from the Georgetown Center on Education and the Workforce have noted that women can improve the outlook of their careers and make their paychecks more attractive by earning degrees in the science, technology, engineering, and mathematics (STEM) fields, and a great way to start is by pursuing A.S. degrees. It should be noted that associate degrees can pave the way for a full bachelor’s degree. At FNU, you can continue your college studies and earn a Bachelor of Arts or a Bachelor of Science degrees. You can even earn graduate degrees through our master’s degree programs in Business Administration, Nursing and Health Services Administration. Everyone has a full life nowadays. There is work, hobbies, family, friends, activities, and traffic on the Palmetto to deal with. While one-on-one with a professor and classmates is a great experience, sometimes we know it’s not possible in life. But it doesn’t mean you have to stop studying towards your future! FNU offers fully online courses that lead to A.S. and A.A. degrees. Our admissions counselors can tell you more about the FNU degree programs you can complete online; these programs are ideal for working adults, contact us today for more information. Check out our Financial Aid page for information on government scholarships and grants, as well as various scholarship programs specifically for FNU students. Ask about the federal work-study programs, and see if you qualify for a scholarship. FNU is accredited by the Southern Association of Colleges and Schools Commission on Colleges to award associate, bachelor, and master degrees. We are licensed by the Commission for Independent Education, Florida Department of Education. With regard to nursing, FNU holds four licenses: two for the Hialeah Campus, one for the BSN program and the other for the ADN program, issued by the Florida Board of Nursing. For a FULL list of FNU programs, click here!